Around the year 2002, my husband and I attended Sacrament Meeting together in our BYU single’s ward. The visiting speaker that day was from the high council, and he spoke extensively about overcoming depression and anxiety through service, prayer and scripture study. I was 21, and probably more interested in holding hands with my boyfriend (now husband) than thinking too deeply about what he was saying. It would’ve almost certainly gone into the discarded mental pile of thousands of unmemorable Sacrament Meeting talks I’d heard over the years if it hadn’t have been for what happened the next Sunday. My bishop at the time was a medical doctor. Sometimes he’d be late to church because he’d been at the hospital delivering a baby, and a friend in my ward once told me the hilarious story of getting a pap smear the week before moving into her new college ward and realizing that she’d just spread her legs open on the exam table for her next bishop. (“I really felt like we didn’t need a get-to-know-you interview at that point!”, she’d quipped.) I knew very little about mental health at the time, so when he stood at the pulpit and said the following, my ears perked up. He totally had my attention! I was trying to remember what crazy thing the high councilman had said that needed a public rebuke. Why had I been so into hand holding that I missed something so interesting? That had a lasting impact on me. I’m glad I heard it, because I’ve remembered those words countless times over the years. 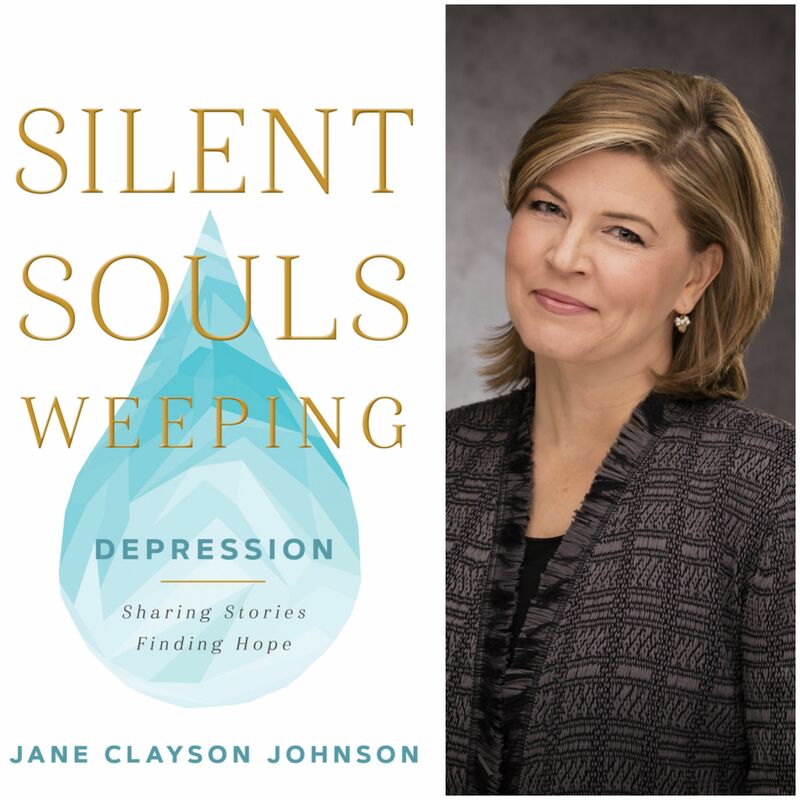 Fast forward about 17 years in my life, and I’ve just finished Jane Clayson Johnson’s book “Silent Souls Weeping”. I’ve loved Jane for years, ever since I shook her hand at church when I was visiting California as a 12 year old and my mom spotted her in the congregation. We were in the overflow, a visiting family from Utah, and my mom told me she was famous (she’d been on the news in Utah) and that I should shake her hand. All I noticed was how beautiful she was, and that her handshake was so perfectly feminine and soft, with manicured nails and a level of TV star elegance that I had never encountered. As a 12 year old girl, I felt manly in comparison. I’ve spent decades trying to recreate her handshake at job interviews and when meeting new people. I’m sure I’ve failed. Jane’s hands are just perfect. I followed her journalism career over the years, and when I was still a fairly new mom I read her book “I am a Mother”, published by Deseret Book. My husband was deployed at the time, and I remember staying up late reading it, then waking up early to finish it. It was a pink book whose cover shouted “sappy mom book” to me, but I’d purchased it anyway because I remembered Jane so fondly and gave it a try. It was the perfect book for me. I will never, ever, judge a book by its cover again (as long as I know the author is cool). Mine said “Hi, I’m Jane!” on top, and as I read through the brief sentence or two of biographical information, I realized it wasn’t just any old Jane – this was my beloved Jane Clayson Johnson, the woman whose career I had followed since childhood, whose book had brought me peace in the middle of the night, and the woman whose handshake I’d literally been trying to copy my entire adult life. When it came my turn to read my handout I exclaimed, “The person you gave me is one of my favorite people! Like literally, what are the chances of that? Am I being haunted by her?” Only one other woman in the room said, “Oh, I think I remember her…” when I explained whose bio I was reading. Becky had brought Jane’s paper to the one person in the room who would even have known who it was. As we all laughed at this coincidence, Becky said, “You know… Jane is a great name for a girl”, and I realized immediately that I would be naming my youngest daughter Jane. I pretended it was negotiable for about two hours after church, but then told my husband it had to be her name. It was meant to be her name. God stuck the name on my lap in church (via Becky), so no arguing was allowed. Fast forward again six years to 2019, and this new book was recently released by Jane (the adult Jane, not my kindergartner). It turns out that this perfect woman with perfect hair and the perfect handshake also had a massive episode of depression during which she contemplated taking her own life. She’d had an incredible career (on air with Bryant Gumbel during 9-11, interviewed Martha Stewart right before she went to prison, went to Kosovo during NATO air strikes, interviewed presidents and first ladies, to name a few highlights), she was married with two kids, she’d written a book about how motherhood is freaking awesome, she had a testimony in the church, and yet it turns out that wasn’t enough to keep her mentally healthy. She doesn’t blame her illness on any trigger in her life, but says it was a biological event that was coming, one way or another. People don’t usually do anything to cause mental illness. It just happens. With the same care and craft that Jane spoke to my heart about motherhood years ago, she speaks about mental illness in this book. She interviewed 150 people directly impacted and told their stories. She interviewed my friend and her gay son who contemplated suicide as a way to escape his impossible life. She interviewed my sister’s favorite BYU professor who had struggled deeply with depression for several years. 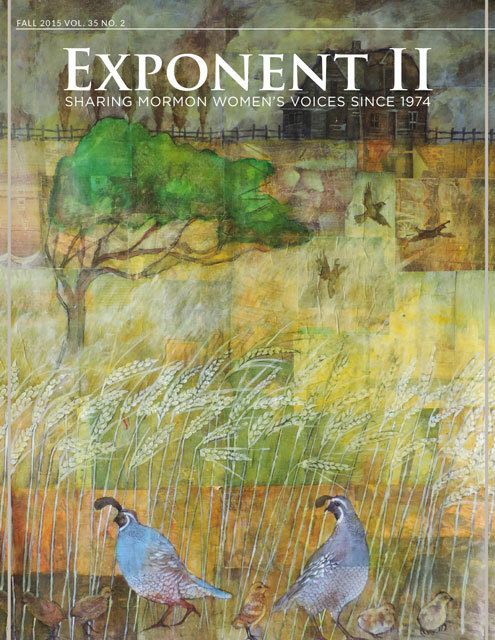 She talked to mission presidents, moms, family members and friends (including bloggers here at Exponent!) who had suffered from this disease which carries a stigma no other physical ailment does. When someone has surgery or breast cancer, we take them dinner and watch their kids. But when someone is depressed, we gossip and complain about them standing us up and acting distant, or not taking care of their kids. When someone goes to the hospital after a suicide attempt, we don’t know what to do with them and back away in fear. That’s wrong. It’s totally unfair. I think everyone should read Jane’s book (and pick up her old “I am a Mother” while you’re at it, even if the cover looks too pink for your taste). Years ago I really wanted to understand what it meant to be homosexual, and reading the stories of gay and bisexual members of my church had an indelible impact on my understanding and love for them because they became real people to me. More recently, I’ve been trying to understand racism from my super-duper white corner of the universe in Lehi, Utah – and reading stories from those affected by racism has really been my only way to find that understanding. Reading this book about mental illness has opened my eyes more to what it can be like to suffer from depression. I started thinking about a former neighbor of mine who never smiled, never said thank you, and just let her kids run wild. Was she depressed? I didn’t help her. I just kept a polite distance and tried not to get too annoyed with her children invading my pantry. I can do much better, and knowledge is what will open the doors of understanding and compassion between all of us. I’d tell to everyone to read this book, then pass it on to a friend who suffers with postpartum depression, lost a friend to suicide, or ever struggled with feeling worthy in any way. We need each other, and we need to understand each other’s journeys to know how to help each other. I love this! I agree that people can come to understand others by reading about their journeys. This book sounds very good! Thanks for this review. I purchased the book because of it and started reading yesterday. I’m not far into the book but I have already felt some solace and relief from reading what I have. Thank you so much for alerting me to this book at a time when I am struggling. I love this book. Jane is busting stigmas and speaking the unspeakable. People have a hard time believing me when I tell them that a book on depression is so filled with hope and peace. It’s recommended reading for anyone who wants to better understand mental health issues.